During the past couple of weeks, we have been doing some experiments for The Witness that involve pre-rendering a scene with a fisheye lens and then using that render during gameplay. If I were to say exactly what this is for, it would be a massive spoiler, so I'll just say it's for a kind of environment-mapped rendering. It's around this time that I realized we didn't have to use a linear projection, which was good -- if we can warp the image however we need to, then we can have the important parts of the scene landing really big in the middle of the texture, using lots of pixels, and squeeze the rest of the scene nonlinearly around the edges of the bitmap, using fewer pixels. A 180-degree fisheye lens seemed like the right tool to do this. For other reasons that I won't go into, another nice property of the fisheye lens (as opposed to some arbitrary distortion) is that it is physically plausible -- you can mount a fisheye lens onto a physical camera and generate a similar image. Unfortunately the field of view in this image we saved is less than 180 degrees, which makes it hard to directly compare with the later images, but just look at the basic character of it for now. Essentially, this code takes an input texture coordinate and converts it into a view vector in 3D space. In order to use the rendered image from within a shader in the game, I need to be able to invert this function: turn it from a view vector into a 2D texture coordinate. But when I tried to do this, I had all kinds of problems: the math was messy and ugly. I got the inkling that this shader may not be acting as a physical lens really would, but rather, was a 2D image-warping effect that gives the same general impression as a fisheye lens. As I mentioned, it's hard to compare with the earlier shot because the field-of-view is different (sorry about that), but I think it's evident that the nature of the distortion is fairly different between the two shots. In our version, it feels milder. // (xprime, yprime, zprime) is the view vector in the same space where the environment map was rendered. // Now we have video_uv in [-1, 1]; for [0, 1], scale appropriately. It's very simple, and the only real math required is a multiplication by a reciprocal square root (very fast for shaders!) So that was pleasant. This is what we are going with for now. Problem solved, job seemingly well-done. Ignacio put the cylinder mapping code into the same shader as the fisheye lens, and also added a latitude-longitude distortion. If you are an experienced graphics programmer asking yourself why the hell didn't they just use a cube map for this, well, there is a very good answer to that, but it involves the spoiler. You'll see when the game is released! CVG appear to be a bunch of lousy hacks. i know what the spoiler is: the entire game is focused on a fish! yay!!!! good luck with other experiments and innovative ideas, jonathan and team! Oh, the final rendered scene would be just like you expect to see. What I’m wondering is what the massive spoiler could be. I can already tell this game is going to be something special. Keep up the awesome work! If they are encoding a fish eye view of actual gameplay into an AVI, maybe this is later (or earlier in game time…?) 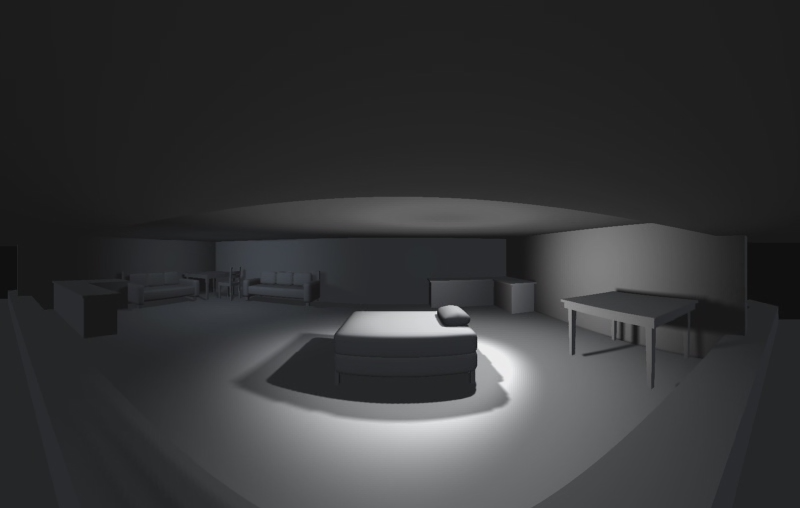 projected as reflections and/or shadows into the live scene. So you *witness* yourself (or someone else) doing things at a different point in time, like some kind of spectral apparition. Pierre: What Iâ��m wondering is what the massive spoiler could be.By my limited understanding, the player does not normally view the world through this, itâ��s just a technique used for rendering things like shadows, reflections etc. What could be so spoiler-ey about that? Perhaps some secret message thatâ��s only revealed when you view the scene through a fish-eye lense? Like anamorphic drawings? (http://tinyurl.com/6j2msq9)I can already tell this game is going to be something special. Keep up the awesome work! Just thought I’d drop a link to a paper that seemed useful when I was working on something in a similar vein a while back. At the time, I was working on computing the fisheye view from each polygon in the scene along its normal to figure out what it could see. This “cube” of data then got passed along to a coworker for more calculations, so my experience is somewhat limited. I ended up going with a straight forward cube map method in the end as it was fast enough for our needs, but it sounds like cubemaps our out for you guys. Not sure if the non-linear projection shader code/paper at the link will be of any use, but it was some interesting reading at least :P.
Where can I find a version of your fisheye shader? Is it possible to send it to me, and is it possible to work it in Maya? Thanks, and nice work guys. We link to the shader in the post, so I am not sure what else you need? there i got fatal errors because four mi_ functions were not recognized. it did not error using the 32 bit shader.lib, but then it wouldn’t load. i did also change the include file in the .mi to match my file name. the JS_fisheye loads, but on render, i get error 051011: shader “JS_fisheye” not found. i hate my life. >.< am i doing something wrong or is it this stupid 2012 version of max?? any help would be greatly appreciated!! after several hours of research, i managed to get it to work in Max. my ignorance of using custom shaders kept me from realizing that i was trying to compile for a 64-bit environment with a 32-bit compiler. >.< after i acquired the proper tools, everything worked fine. thank you for posting this. i have been searching for something similiar for a few months for my project. now, on to the animating! 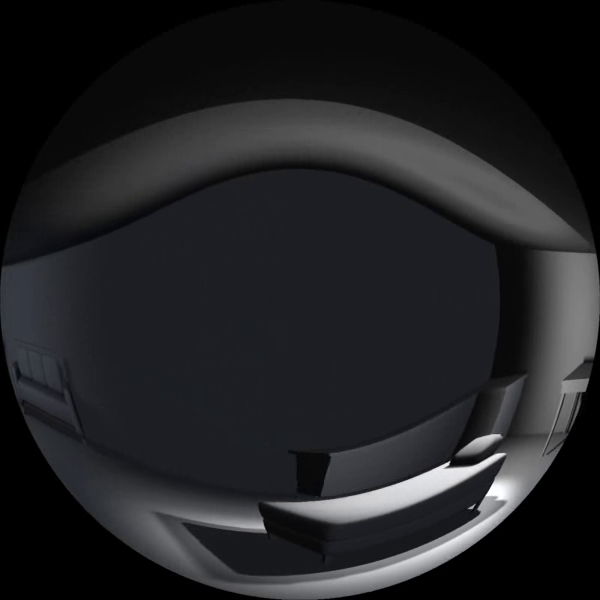 Crazy question… But what are the chances that you’ll include fisheye support within the final launch of the game? Many planetarium domes would definitely be interested in playing the game. Here’s a question about the invertability of your fisheye code. Plots of each show that, indeed, this is not a perfect inversion. 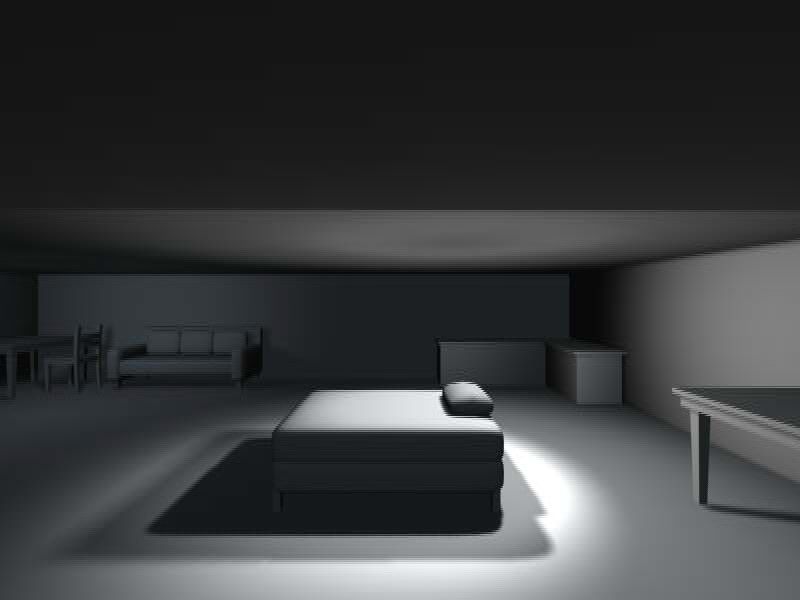 If, however, I change the pixel-to-world-ray shader to sqrtf(1 – r2), it is a perfect inversion. 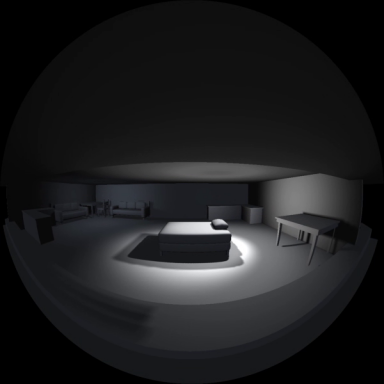 I presume you’ve increased the “fisheye’ness” of the pixel-to-world-ray shader since maybe it looks nicer for your needs, but wanted to make sure you take this modification into account in the inverted code. Finished the game, and I’m still not sure what things had a fisheye effect. ZioCfp Yeah bookmaking this wasn at a high risk conclusion great post!.